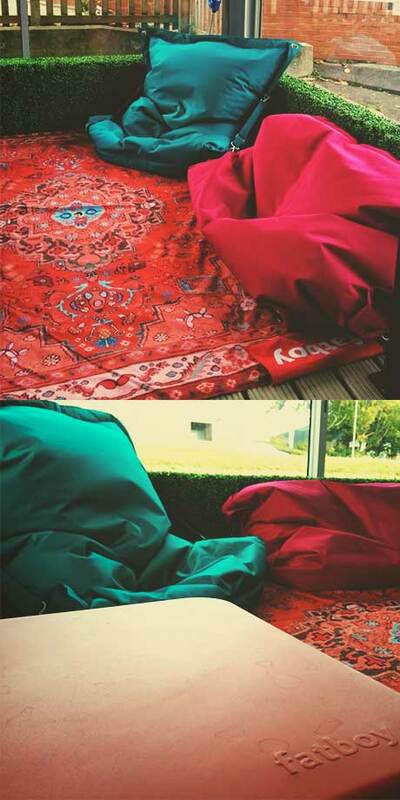 Summer is here and why not enhance your garden with the ultra cool Fatboy range of accessories. 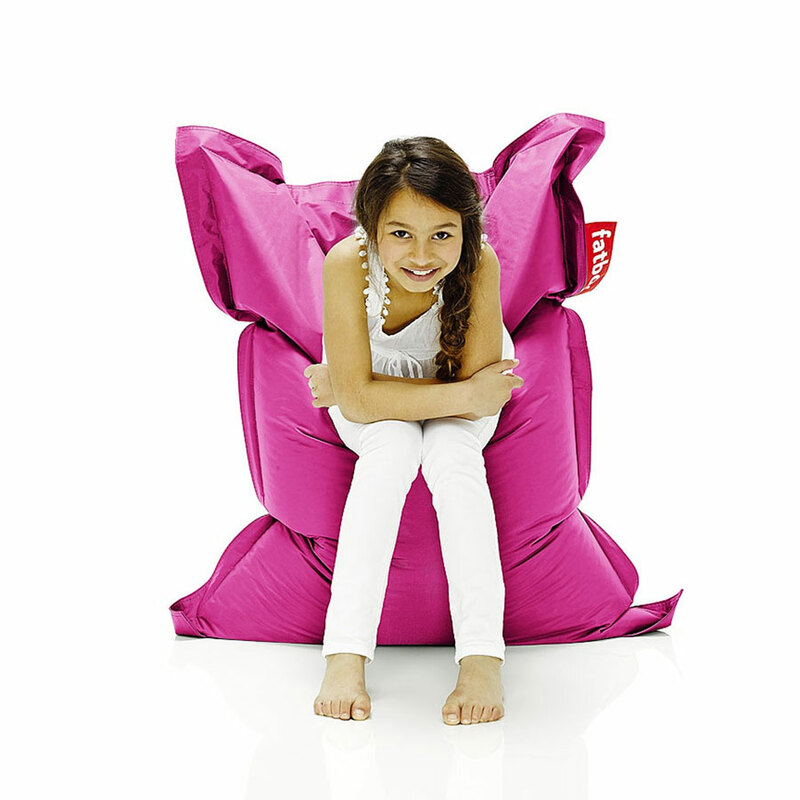 The Tub Company is an official supplier of all the Fatboy products including beanbags, headdemocks and edison lamps. Why not pop down to our showroom an just see how comfortable a Fatboy really is! Designed by Jukka Setälä, Fatboy’s Original immediately became a firm favourite everywhere. A decade on and the Original with its oversized Fatboy label has become a true icon of modern living. Sit, lie or lounge any way you like. The Original will follow the shape of your body for maximum comfort yet retain its perfect shape thanks to its high quality EPS filling. Its strong nylon fabric is almost completely indestructible. Renowned for its durability and fun design, it’s no wonder more than one million Originals have been sold the world over. 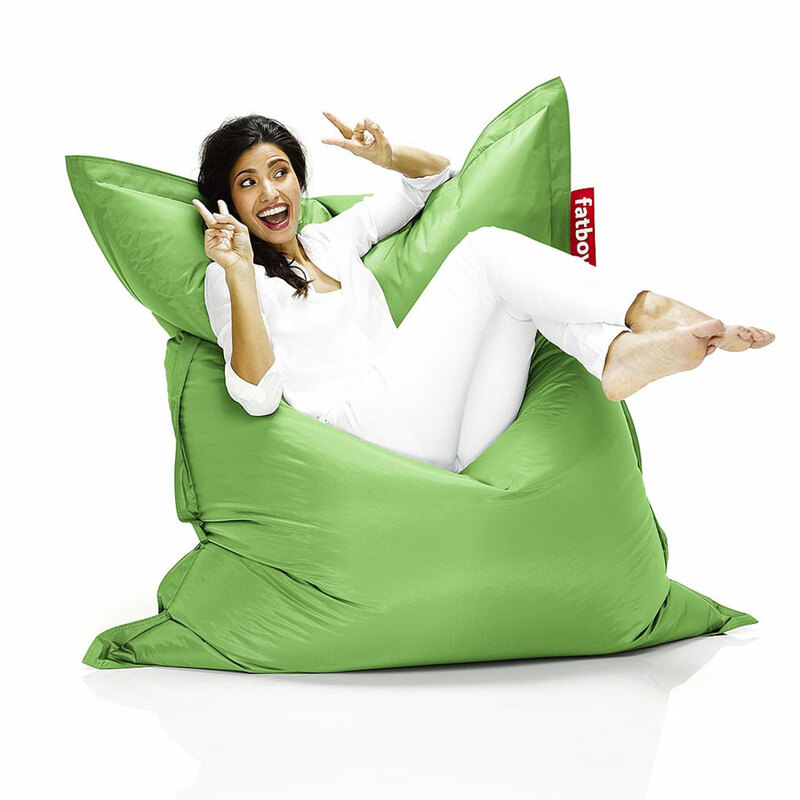 Nowadays, if you say bean bag, you say Fatboy: there is only one Original! Its tough fabric can withstand UV rays, water and dirt and its ingenious design means it is both a perfect leisure chair for one or an intimate snuggle sofa for two – you can switch effortlessly between the two. The Buggle-up is available in 16 colours, ranging from Yellow Ochre and Pink for a quirky contemporary look to Taupe and Black for timeless elegance. Junior is available in a large selection of colours: 20 trendy hues ranging from girly pink to petrol blue for real action men. Edison the Petit by Fatboy is the Fatboy lamp Edison the Grand’s tough little brother. 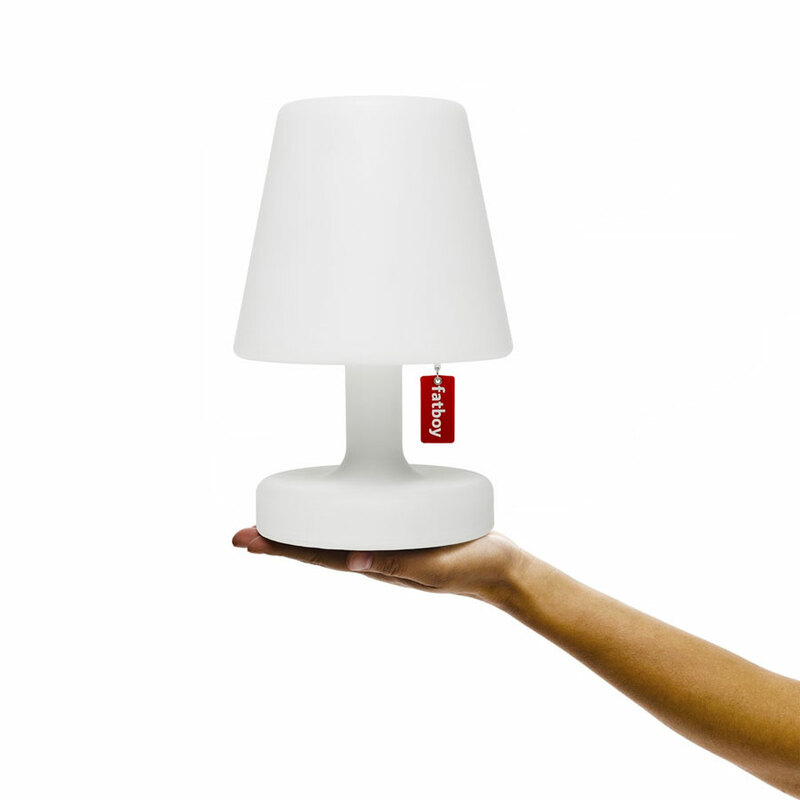 With a height of 25 cm, you can easily take this rechargeable, synthetic lamp outside or wherever you may need a light. Edison the Petit is the mobile nightlight that was always missing, the romantic lighting on the balcony and functional lamp on the desk. The Petit also uses LED technology and provides 24 hours of convenient usage.The lamp is supplied with a battery, charger and necessary light source. Another of Fatboy’s extravagantly large designs, the Headdemock easily has room for several people. This luxury hammock doesn’t need trees or rope: it’s safely attached to a sturdy frame, so anyone can create a comfortable hang-out in their garden or on their balcony. 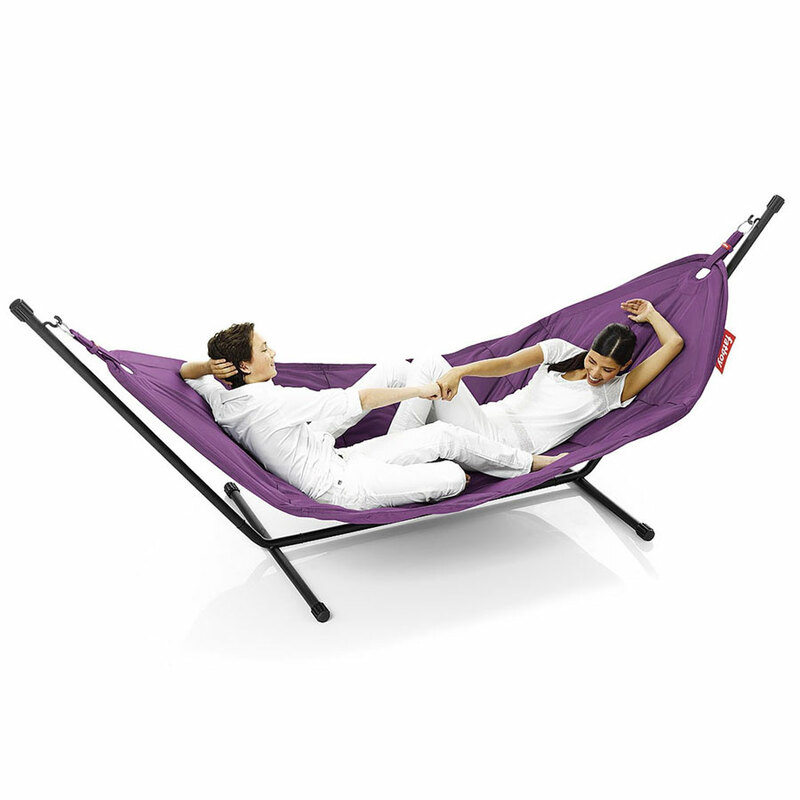 The Headdemock is manufactured from durable materials, with water- and UV ray-resistant fabric for years of pleasure! And when summer finally comes to a close, just pop the Headdemock into its purpose-made storage bag till the warmer weather returns.